Young At Art showcases creative work from hundreds of regional students ages eighteen and younger in Mystic Museum of Art’s galleries. Come see original artwork in a variety of media from oil, photography, and sculpture to mixed media. Art by individual students and group art projects from Rhode Island and Connecticut schools is displayed. 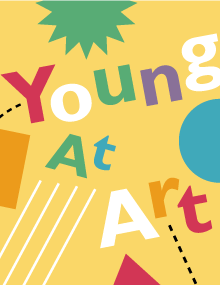 Young At Art is part of our commitment to fostering creativity, utilizing art to advance learning in our region’s schools, and bringing families together in a community space.